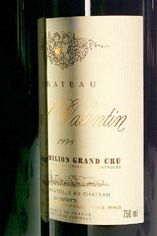 Château Rol Valentin is one of the new breed of garagiste wines that have emerged in St-Emilion in the last 10 years. These wines are made in minuscule quantities and are usually very deeply coloured, intensely concentrated, and packed with superripe fruit with strong hints of new wood. 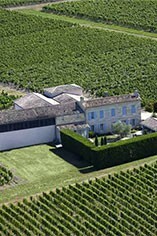 Rol Valentin has just 5 hectares of vineyards located on the north-western part of the plateau of St-Emilion. Its vineyards are planted with 90% Merlot, 5% Cabernet Franc and 5% Cabernet Sauvignon. Rol Valentin's grapes are hand harvested and are then fermented in temperature-controlled, wooden tanks. The wine is then aged in 100% new oak barrels for 18 months before being lightly fined (but not filtered) and then bottled. Rol Valentin's wines are typically opaque in colour in youth and exude aromas of ultra-ripe blackcurrants, liquorice and wild herbs, leading on to an expansive palate displaying rich, creamy, black and red fruits buttressed by silky smooth and almost seamless tannins. "Former rugby player Eric Prissette continues to demonstrate a sure touch with his small plots planted in different sections of St.-Emilion....Winemaking consultant Stephane Derenoncourt has fashioned an elegant, but powerful, dense blue/purple-colored 2005 revealing a sweet nose of blue and black fruits intermixed with notions of crushed rocks, subtle oak, creme de cassis, and blueberries. Full-bodied, with moderately high tannin, good acidity, and superb definition as well as length."